Absolute protection against mosquitoes, horseflies, flies and ticks. It's that time of year again! 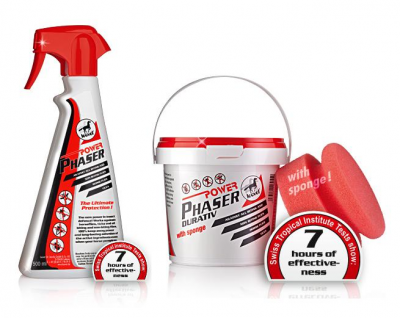 Make life more comfortable for you and your horse with LeoVet's Power Phaser. Repells insects for 7 hours, even when your horse sweats. Gentle on skin, even for horses with sensitive skin. Can also be used by riders!